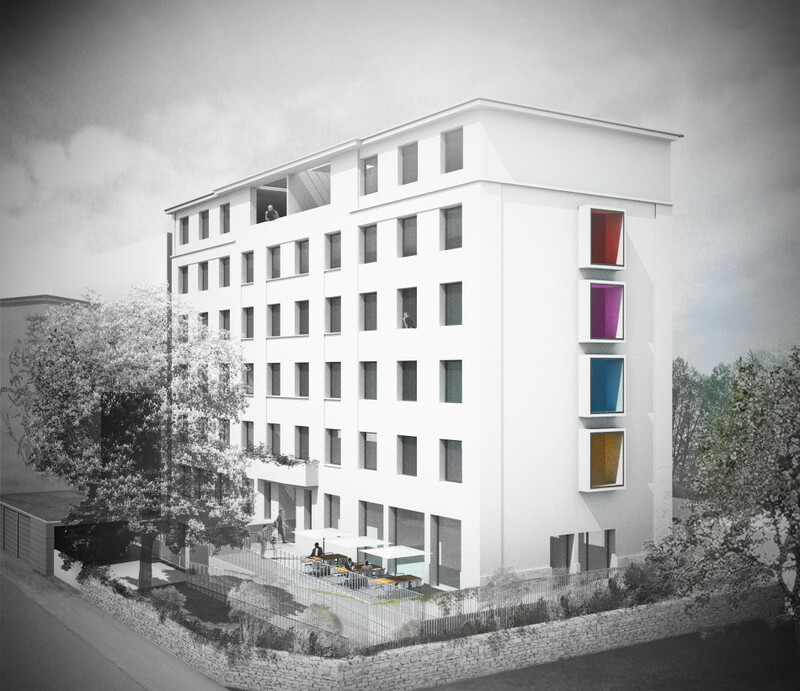 Restructuring of the boarding accommodation of the ‘Camélias’ hostel. 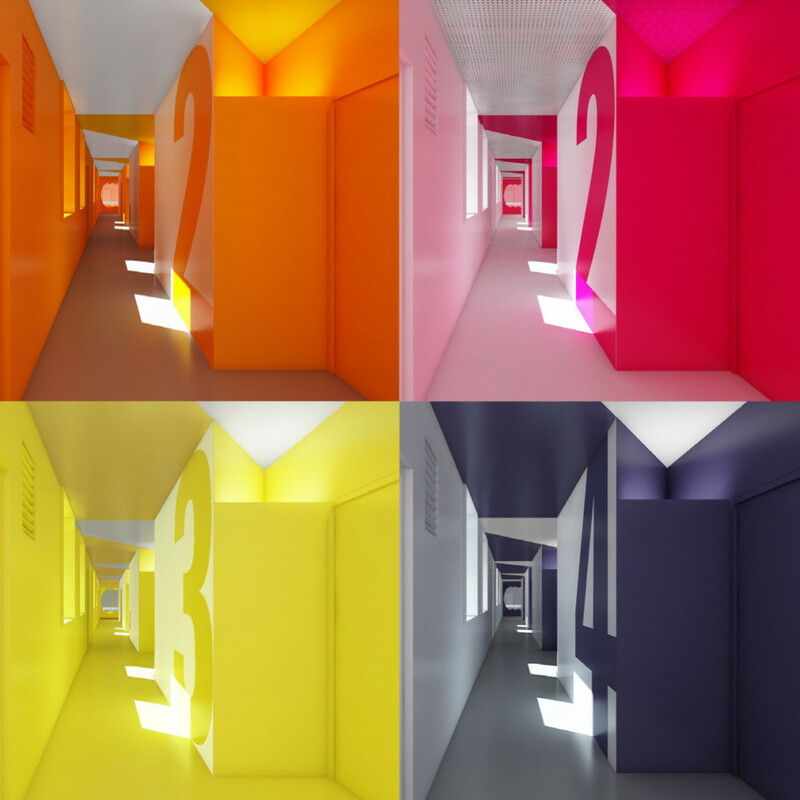 Our project is part of a scheme to enhance the existing building, both by rethinking the aesthetic of the building and by reinterpreting its use by offering pleasant, functional accommodation. Only a few slight changes have been made to the initial structure, giving a more contemporary touch to the whole. The ground floor houses all the areas devoted to the students’ collective life, such as the entrance lobby, canteen, and porter’s lodge, and is a bright, functional space extending into an attractive terrace beneath the existing chestnut tree. 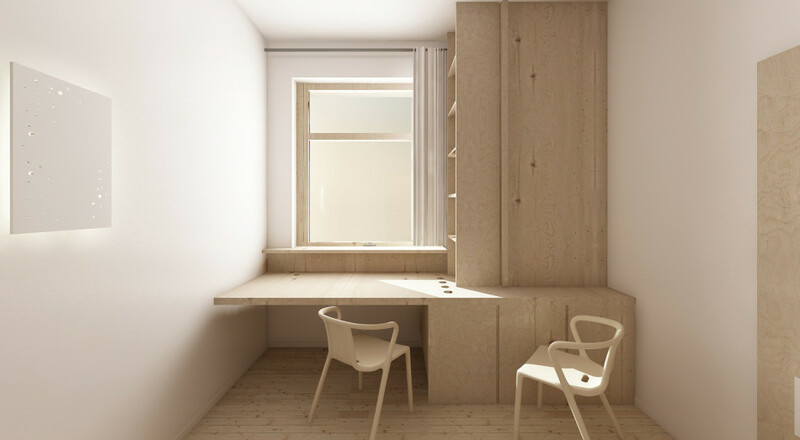 On the upper floors we propose two types of accommodation: firstly, a studio-type dwelling with more conventional fittings where emphasis has been placed on the functional aspect and readily accessible storage areas have been included. 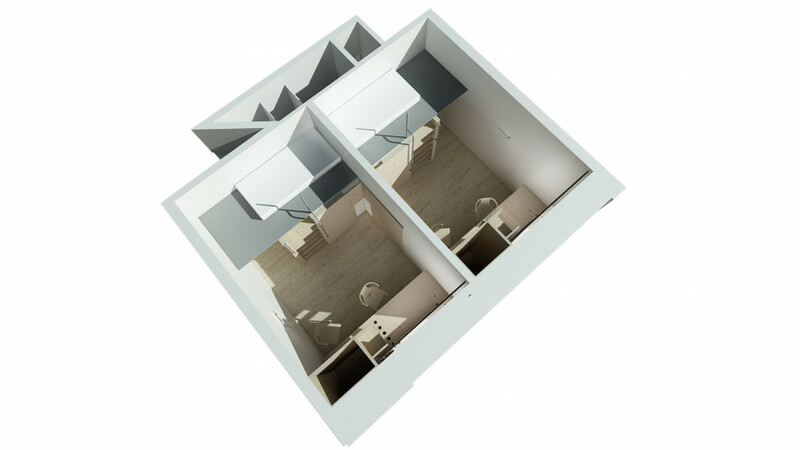 We have also, however, imagined another – more spacious - type of accommodation, by creating a mezzanine to use as sleeping quarters, thereby freeing up an obviously brighter and larger living space.